Justin, now Echo, is home in Anderson with Nikki!!!! 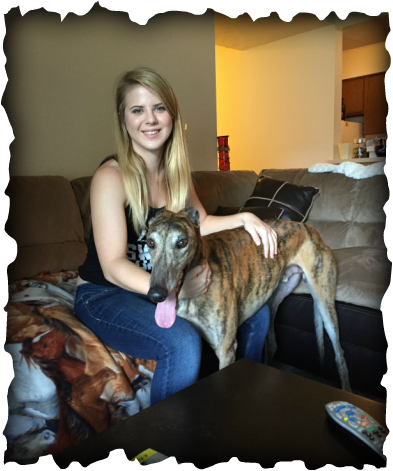 Nikki has been looking to get a greyhound for months! She finally was in her new home and ready to adopt when Echo came to town- perfect timing! He is loving and sweet and everything Nikki was looking for. Echo walked right in to Nikki's house and was as confident as can be! He gave Nikki lots of kisses and checked out every stuffed animal around. We will definitely be seeing a lot of these two at future GAGC events!! !